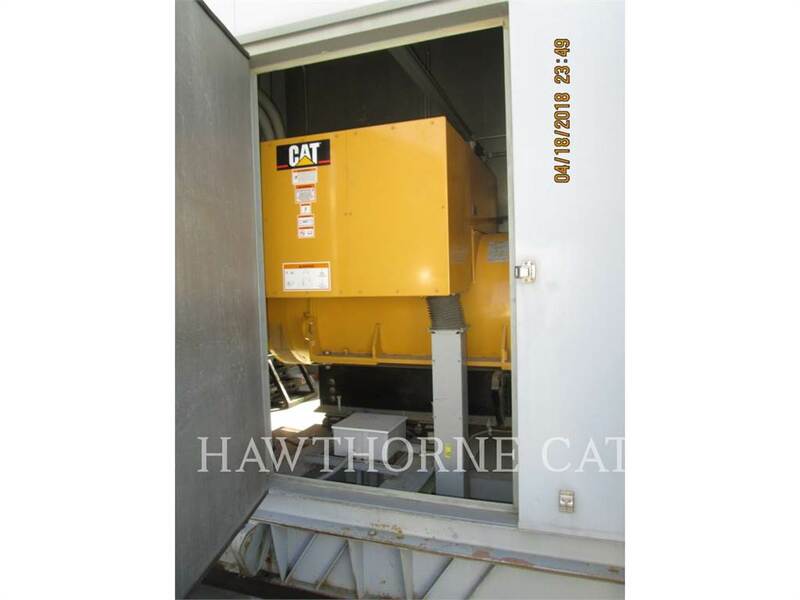 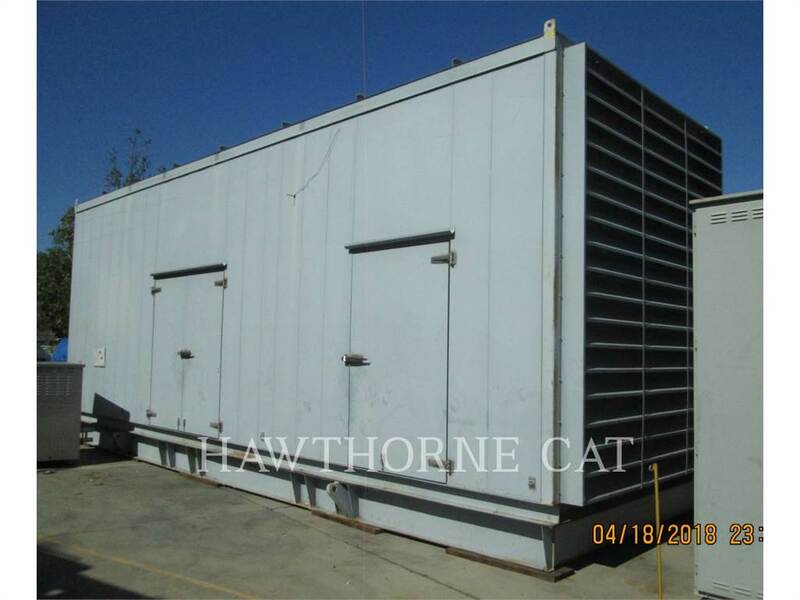 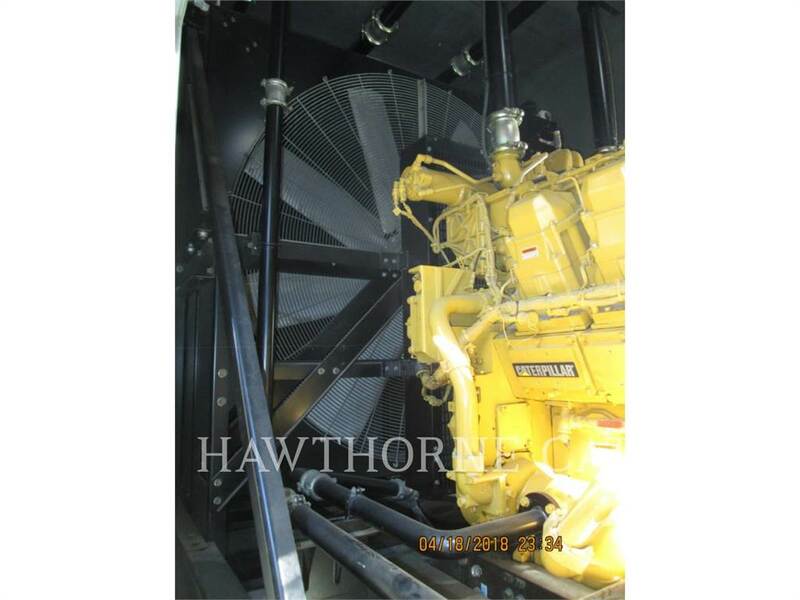 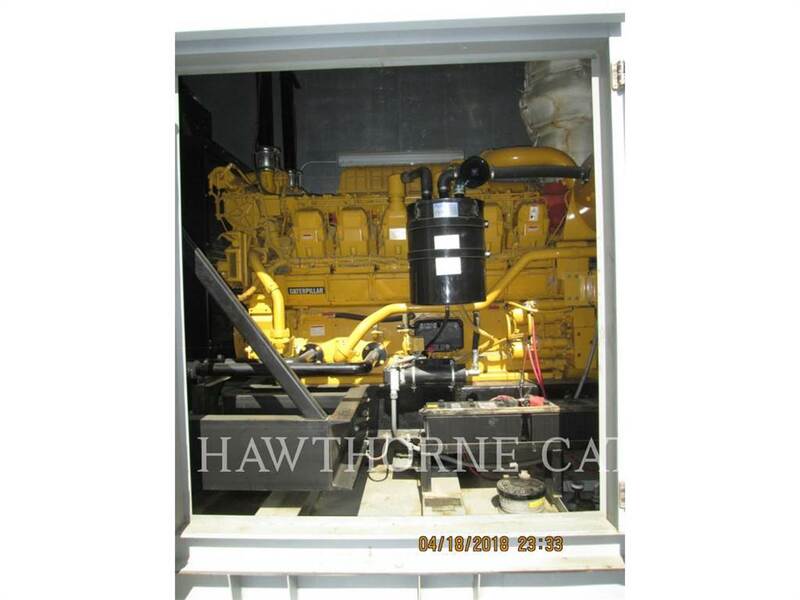 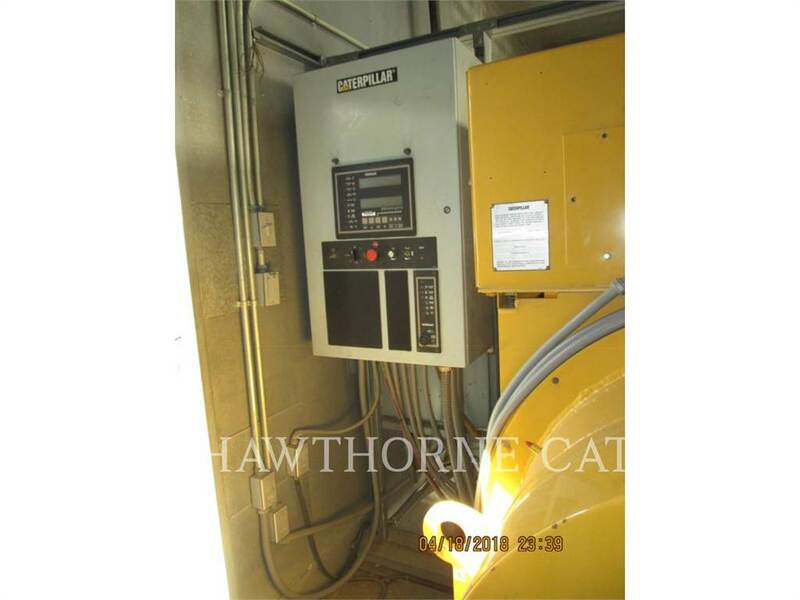 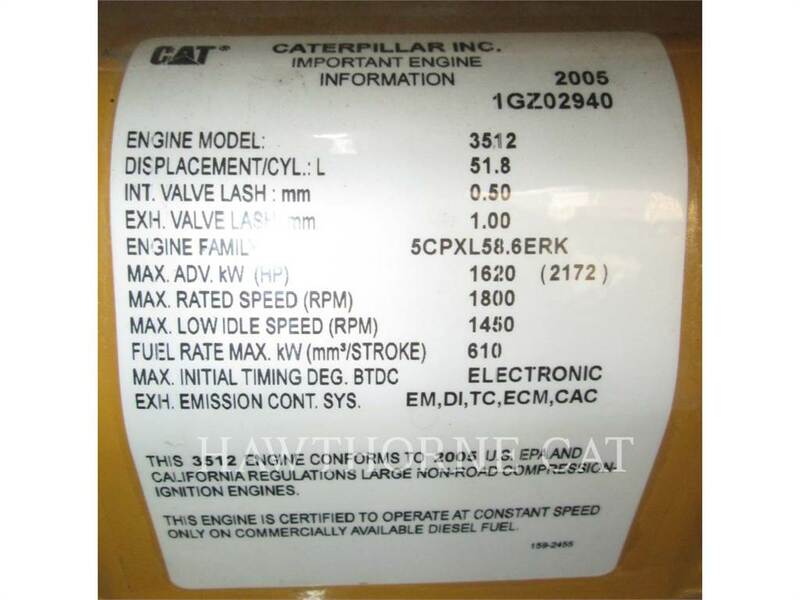 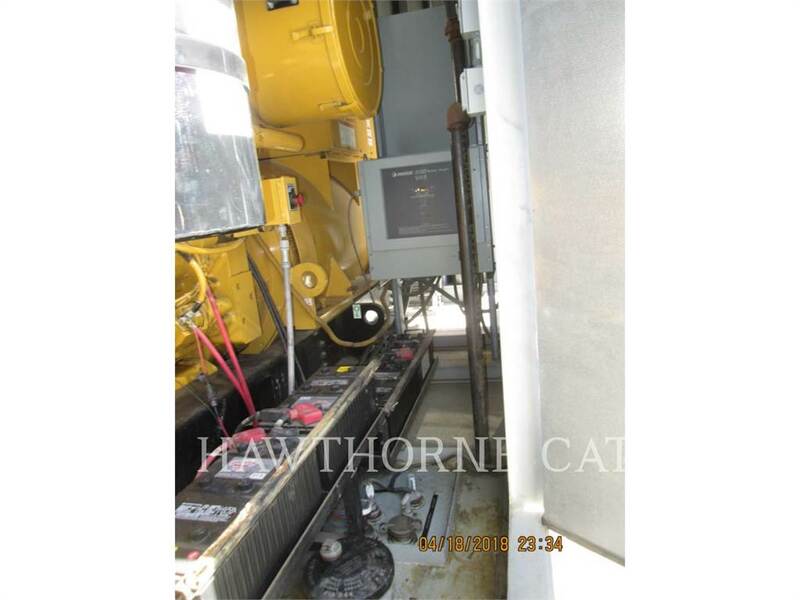 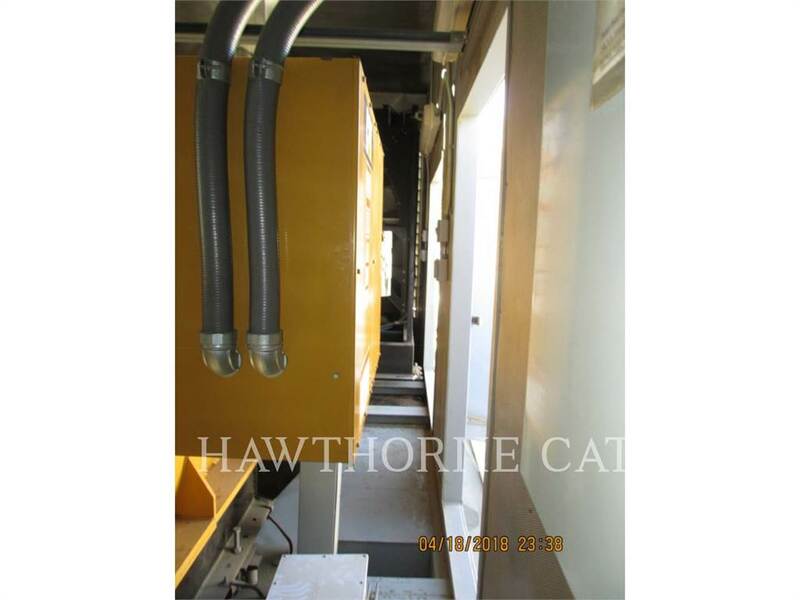 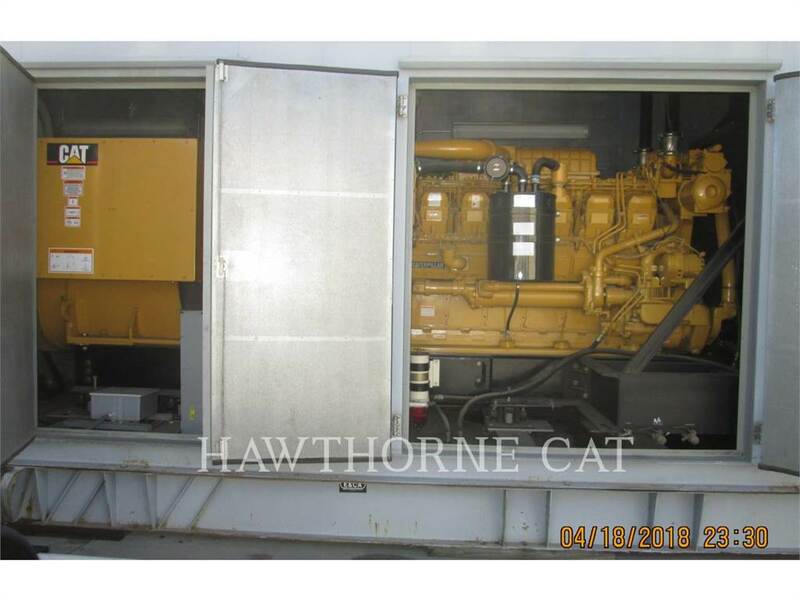 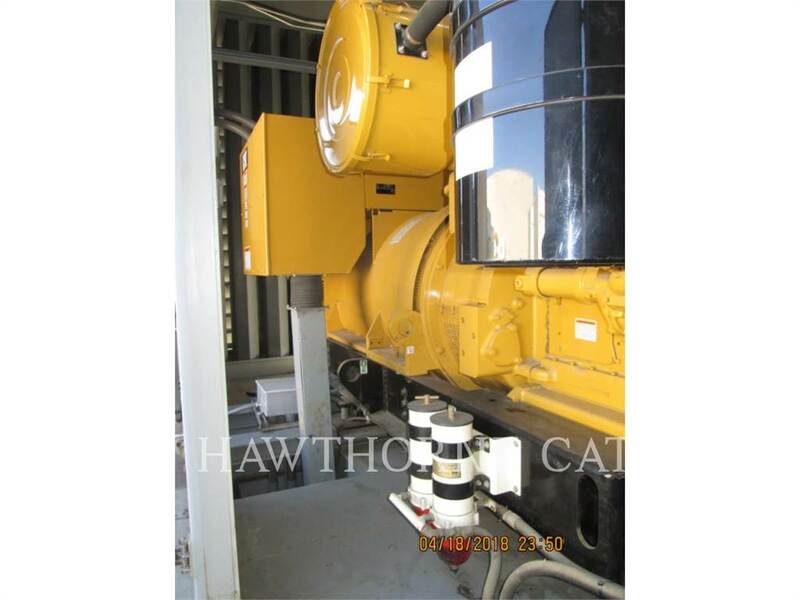 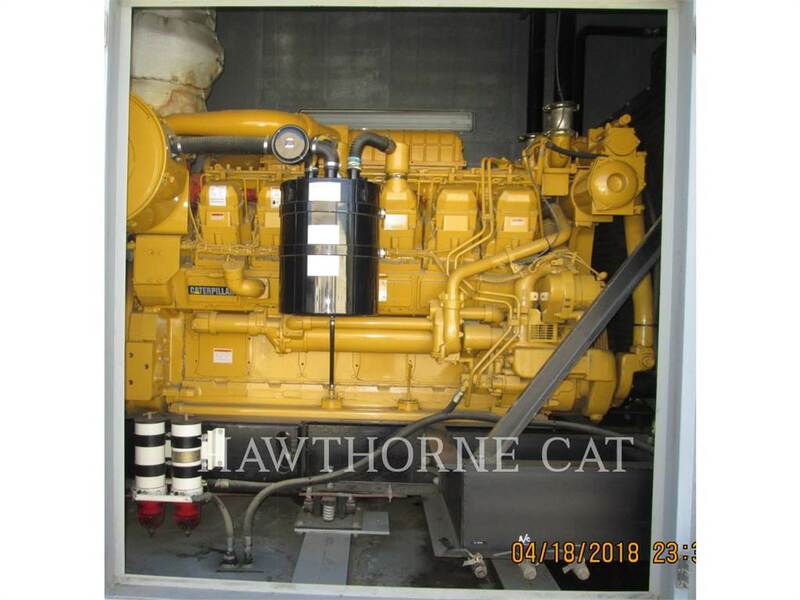 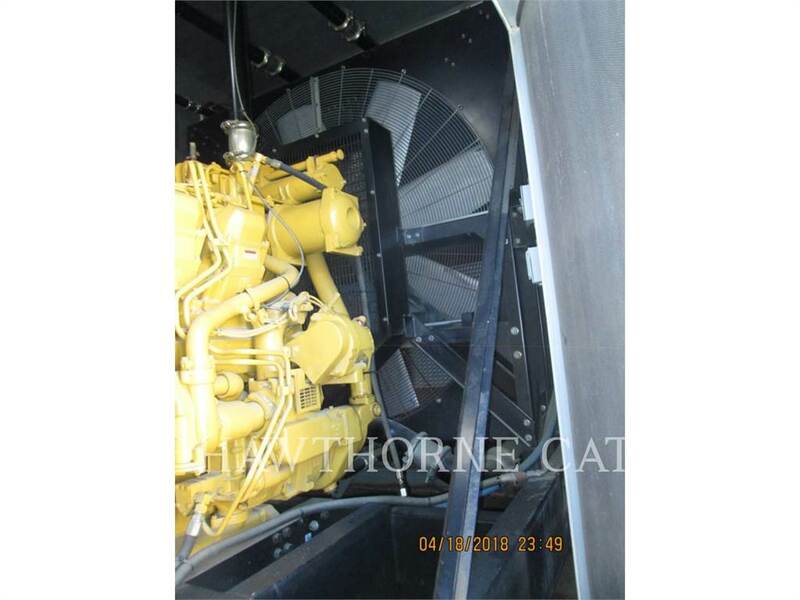 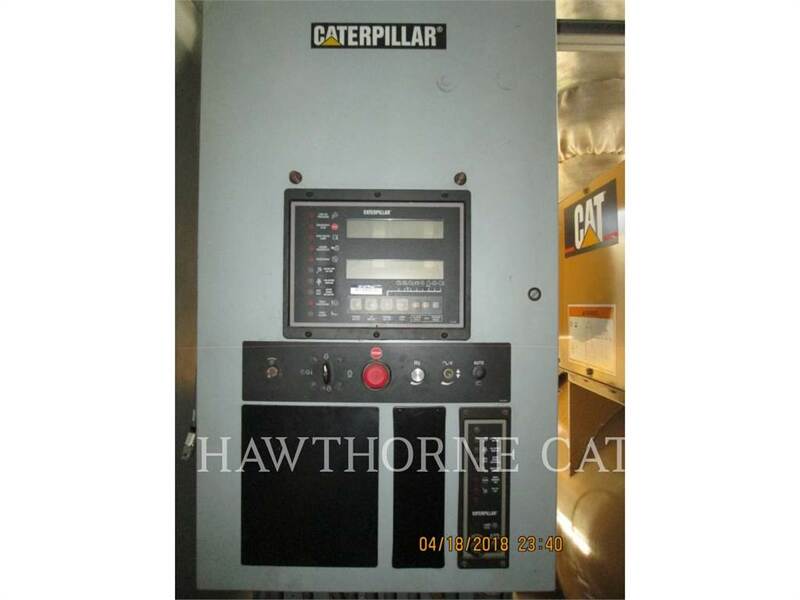 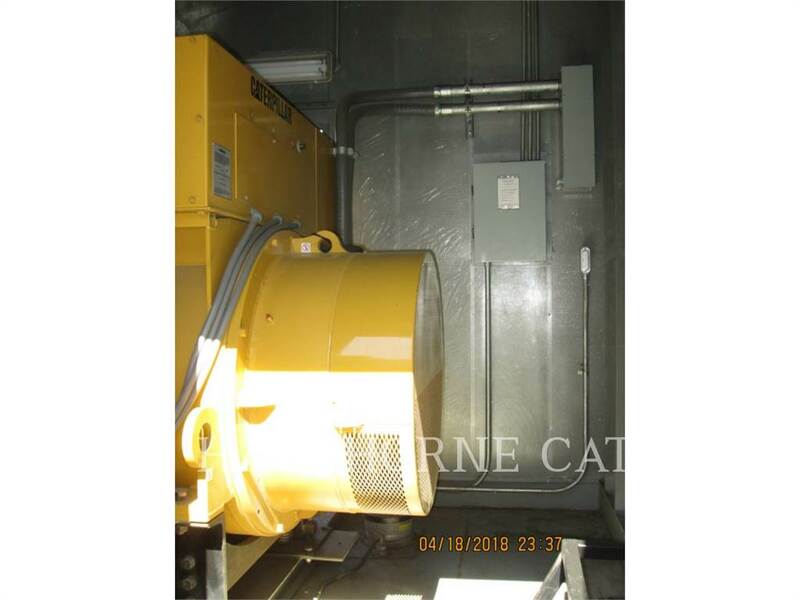 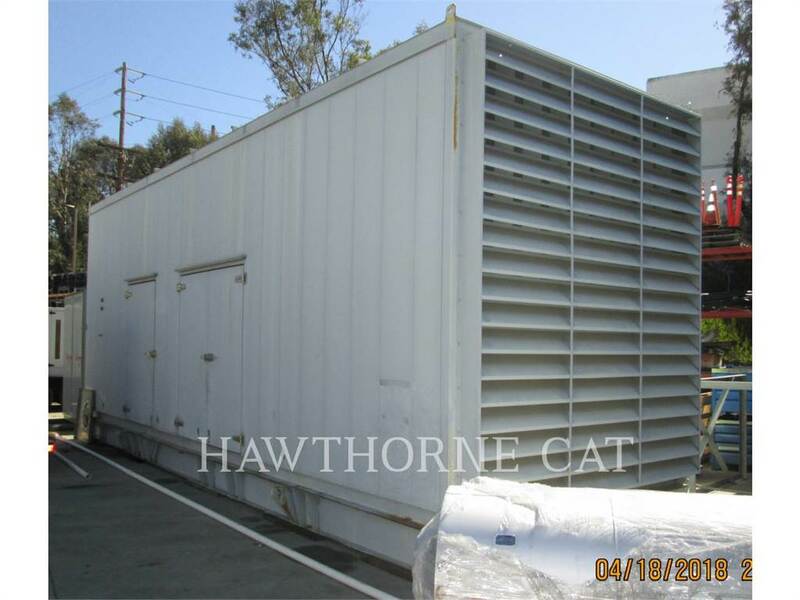 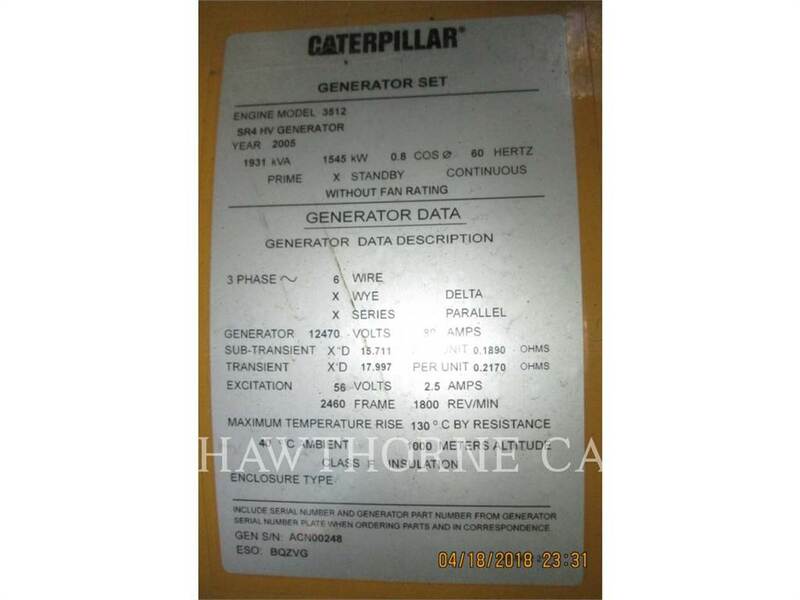 Dodatkowe informacje 2005 CATERPILLAR 1500 KW DIESEL GENERATOR SET • PACKAGED BY E & CA ENGINE & COMPRESSOR ACCESSORIES • CAT 3512B DITA SCAC EPA TIER I CERTIFIED • RADIATOR COOLED • CAT SR4B HV GENERATOR W/ PMG • RATED 1500 KW STANDBY • 12,470 VOLT • 3 PHASE • 60 HZ • 1800 RPM • CAT PEEC ELECTRONIC ENGINE CONTROLLER • 24V ELECTRIC START • CHARGING ALTERNATOR • BATTERIES-RACK-CABLES • BATTERY CHARGER • JACKET WATER HEATER • FUEL FILTER / WATER SEPARATOR • FUEL COOLER • GENERATOR SPACE HEATER • CRANKCASE VENTILATION FILTER • CAT EMCP 3.3 DIGITAL CONTROL PANEL W/ AUTO-START-STOP AND SAFETIES • SOUND ATTENUATED WALK-IN ENCLOSURE • SEISMIC VIBRATION ISOLATORS (BETWEEN GENSET & TANK) • MOUNTED ON A 1000 GALLON FUEL TANK BASE • S/L CRITICAL GRADE EXHAUST SILENCER • REMOVED FROM A LOCAL CALIFORNIA MEDICAL PHARMACEUTICAL FACILITY 03 / 2018 WITH 109 HOURS SHOWING ON SERVICE METER • PACKAGE S/N CMC01779 • ENGINE S/N 1GZ02940 • GENERATOR S/N ACN00248 • SHIPPING: GENSET • 33’-0” L • 10’-10” W • 15’-8” H • APPROX 73,000 LBS. 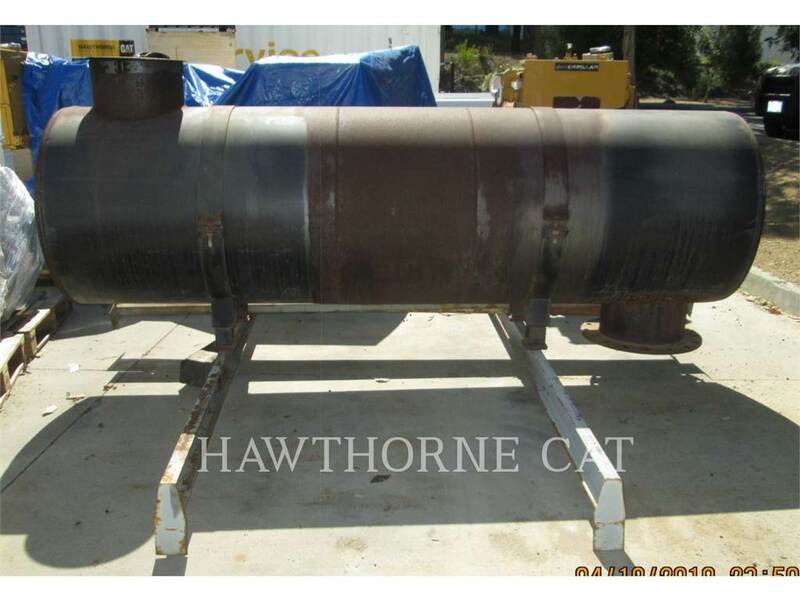 • SILENCER W/ FRAME WORK • 10’-10” L • 10’-2” W • 5’-3” H • APPROX 2,500 LBS. 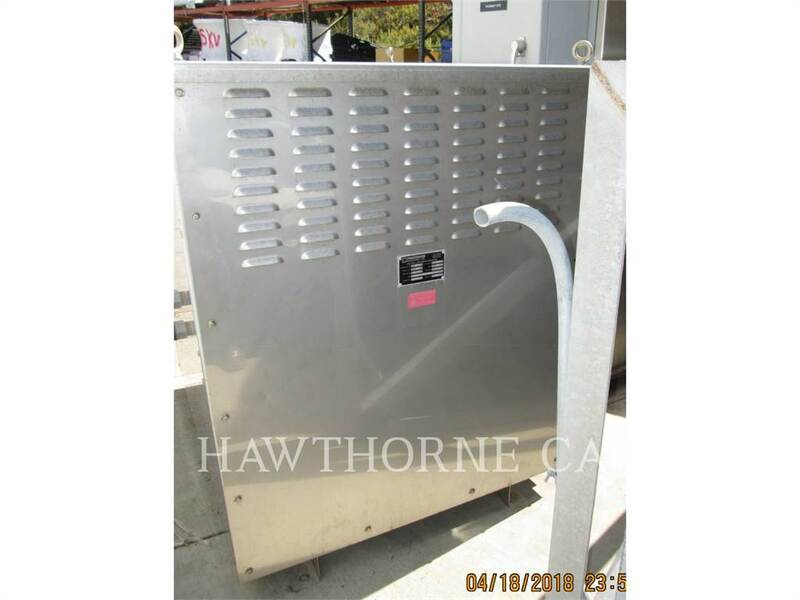 • OPTIONAL S/L : NEUTRAL GROUNDING RESISTOR • 12 KV CONTROL/METERING CABINET • NEUTRAL GROUNDING RESISTOR • 54” L • 44” W • 57” H • APPROX 1000 LBS. 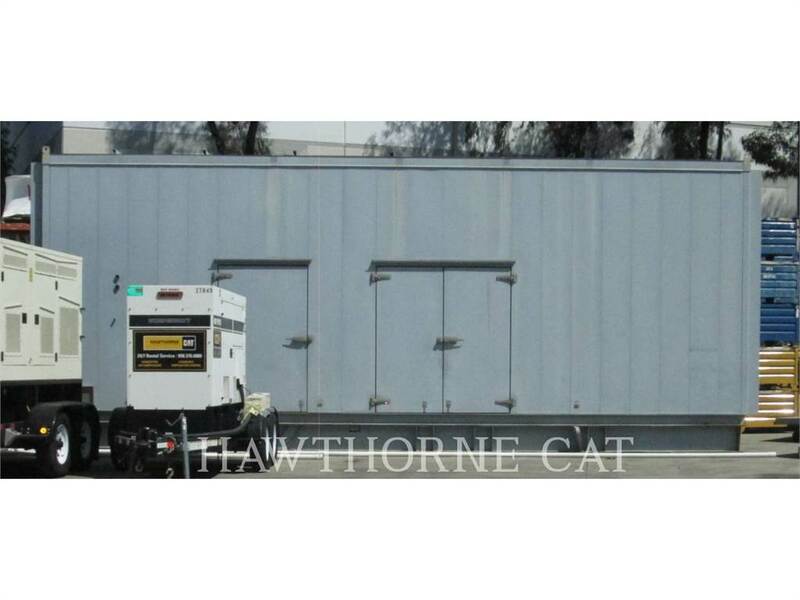 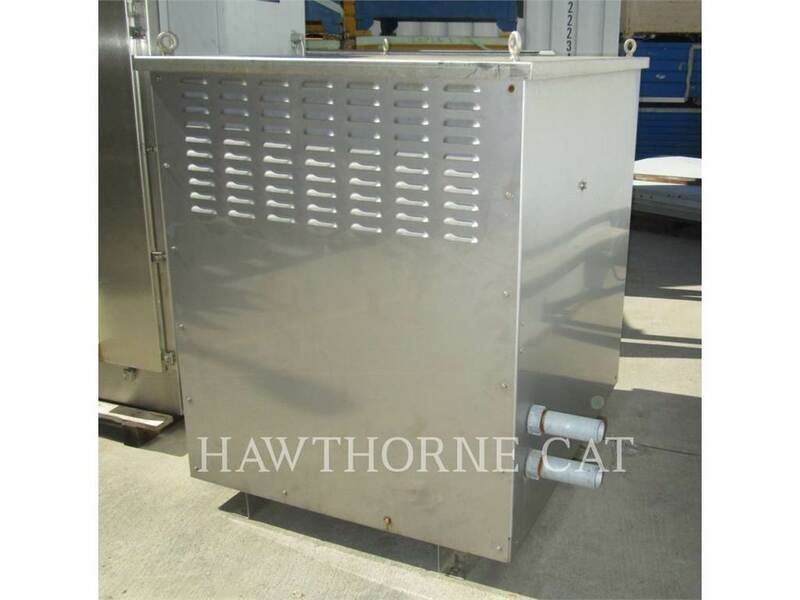 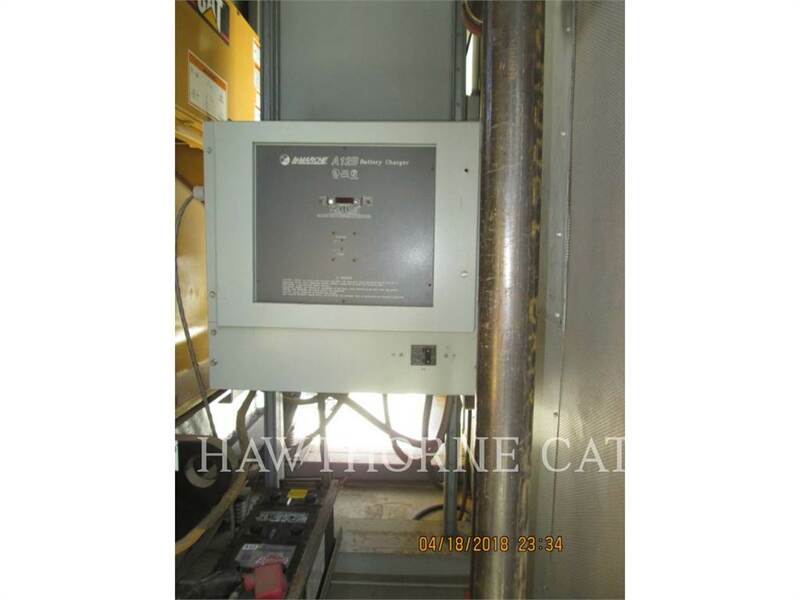 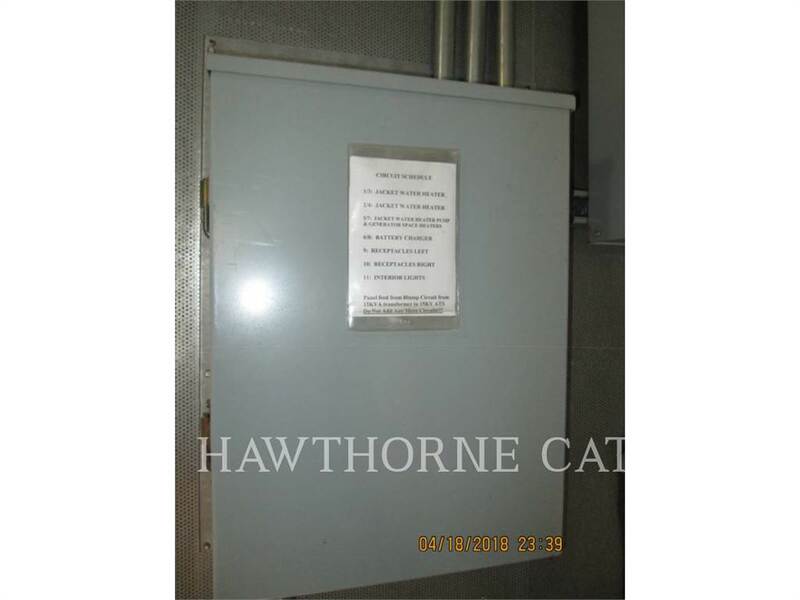 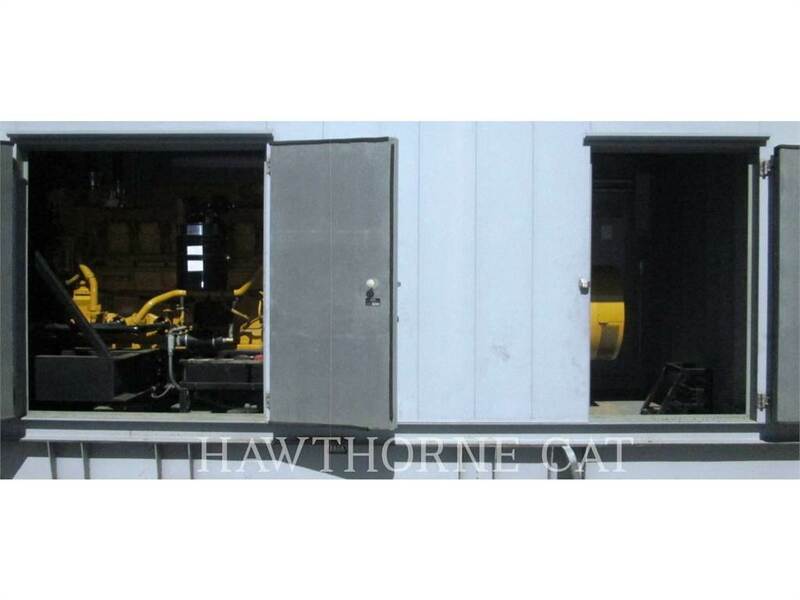 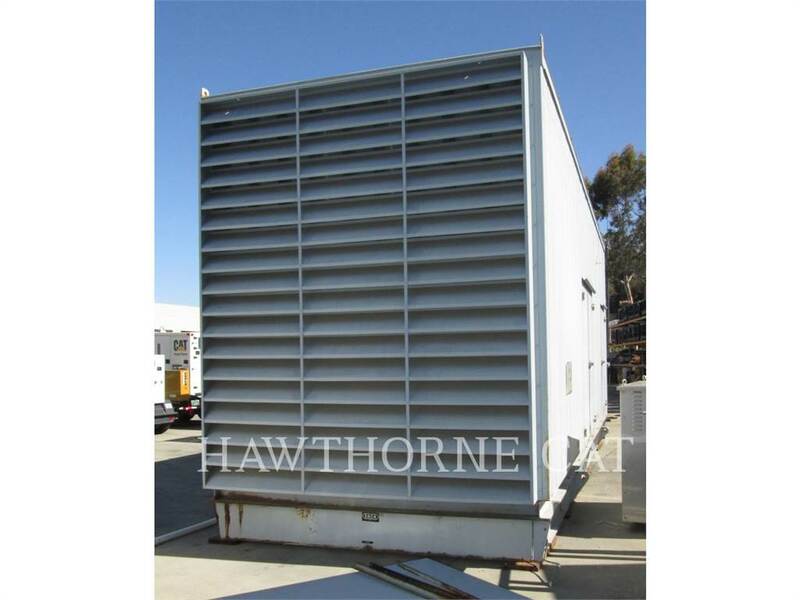 • THOMPSON TECHNOLOGY 12 KV ATS CONTROL/METERING CABINET • 9’2” X 8’-10” X 9’-0” H • APPROX 8,000 LBS.